Left - Interior of the church, circa 1907. Right - Covered and uncovered Memorial Tiles. 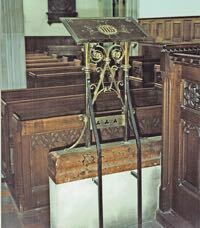 Left - The Garton and King lectern. Right - The 1881 extension. 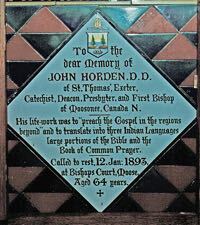 Left - Memorial tile for Bishop John Horden. entrance is in his memory. 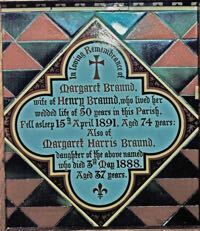 Left - Memorial tile for Margaret Braund. 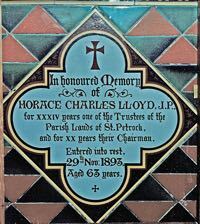 Right - Memorial tile for Horace Charles Lloyd JP. Right - Right hand half of Drawing dated September 1894. Left - Left Hand half of Drawing dated September 1894. Right - John Atkin, Ironmonger & St Petrocks Churchwarden 1698. Since 1661 and up to 1939 the predecessors of Garton & King Ltd had been very active in Exeter’s City Centre. The Timeline takes us from earliest times when in the ownership of John Atkin on to John Southcombe, the Portburys, Samuel Kingdon and his two sons, Samuel II and William and into the era of Ambrose Jarvis, John Garton and John Gould King. This period of ownership takes us from 1661 up until the closure of the Waterbeer Street Foundry which was forced on the Company by Exeter City Council by the serving of a Notice of Requisition in 1935/6 – it seems the Council had some mad brained scheme for a New Civic Centre development! 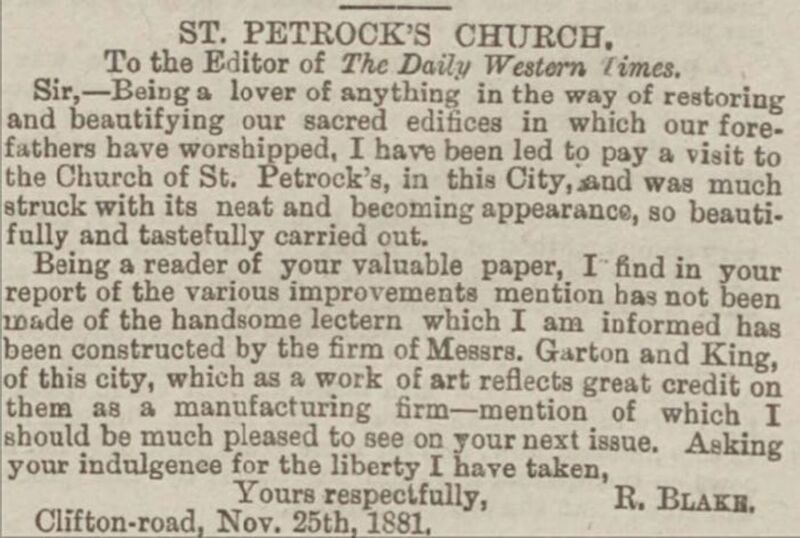 Many of the principal characters in the business throughout this period had strong links with St Petrocks (Petrox) Church and the Parish (one of the smallest in the City at less than three acres). The Church was barely a stone’s throw away on the other side of the High Street from the Ironmongers shop. John Atkin, who had set up his Ironmongery business in the Parish and was a Freeman, became Churchwarden of this Parish in 1698. His signature appears in the Churchwardens’ Account Book as do those of Atkin’s successors. These include John Southcombe who was made a Freeman in 1688 and Churchwarden of St Petrocks in 1703. 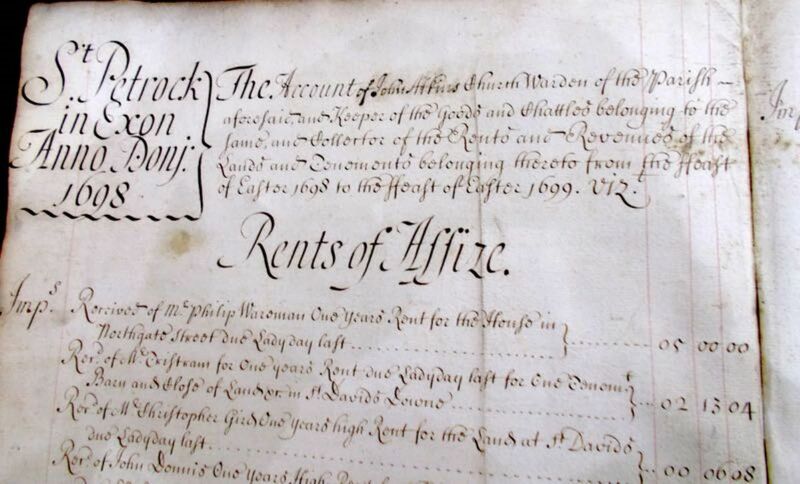 Lewis Portbury (senior) also was a Freeman (1706) took over the business in 1724 but was already a Churchwarden having been appointed in 1712. Of his son Lewis there is no mention of him being a Churchwarden but he was Sheriff in 1746 and Mayor in 1748 as well as a J.P. His successor Samuel Kingdon appears as Churchwarden of St Petrocks in 1771. 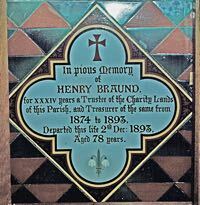 The two sons to whom Jane Kingdon passed the control of the business to were also involved in civic matters. Samuel Junior was elected Mayor in 1836 and his brother William was Sheriff in 1842 and appointed Parochial Commissioner for St Petrocks probably about 1813. With the renaming of the business as Garton & Jarvis we see John Garton appearing as Churchwarden in 1854 and his successor John Gould King appears in Church Records as being involved in Parish matters as Churchwarden in 1883 through to 1886 and was doubtless instrumental in presenting in November 1881 to St Petrocks the fine Lectern seen on this page which was designed and manufactured by Garton & King. 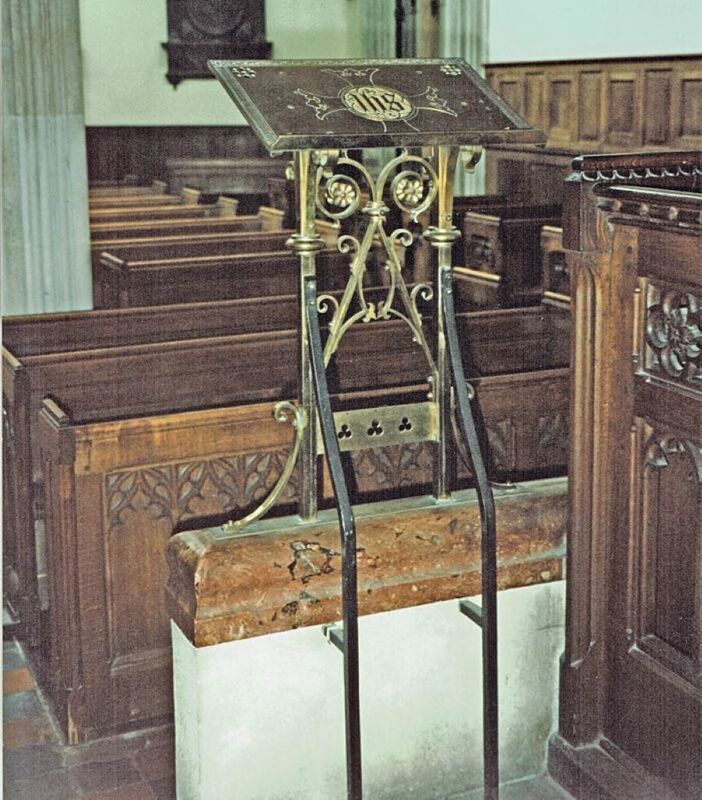 I must here state that this fine Lectern has unaccountably ‘disappeared’ – I use this page to suggest if it hasn’t been ‘lost’ (can you lose a Church Lectern?) it has possibly been sold (of which there is no record) but more likely to have been stolen. I can offer £50 for its safe return to me. The image is from around 1994. In addition to the Company’s involvement with the Lectern through Mr John Gould King, there is also the Minton Hollins Commemorative Tile Work. 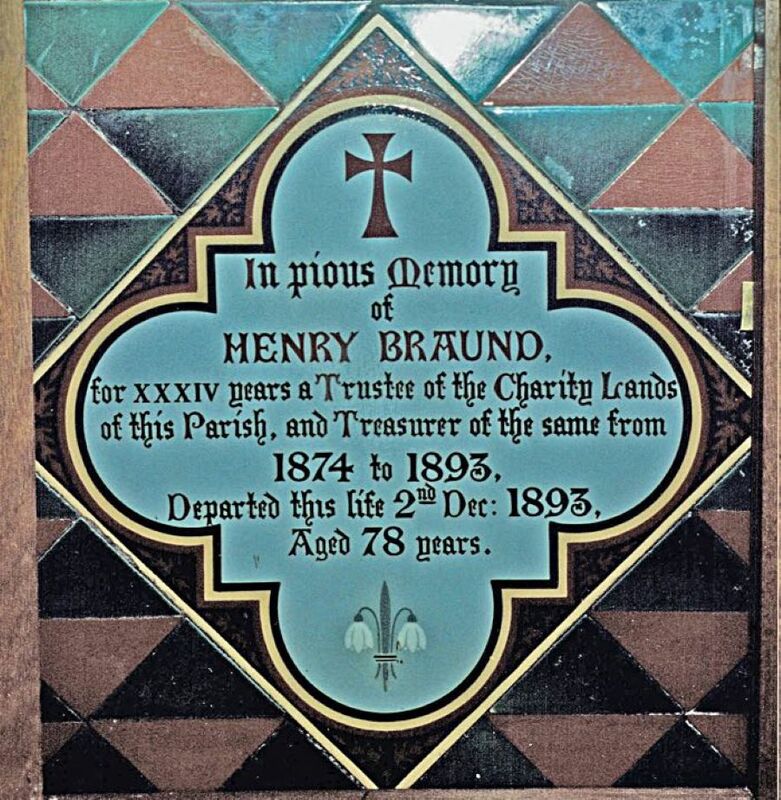 Initially installed on the walls of the Chancel in 1883 it was subsequently extended and an entry in the Vestry Minute Book dated May 1886 describes a proposal for a further extension to this tile work. 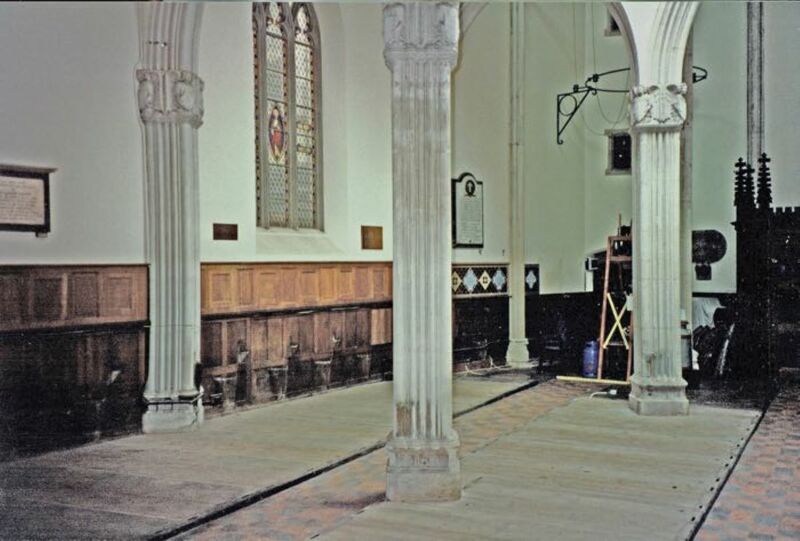 The Commemorative Tiles are generally set above the wood panelling on the walls of the nave and elsewhere in the church as seen in the black & white image of the Church reproduced here in this Chapter. These boldly coloured tiles were originally set as shown in the image but were covered with lockable wooden doors in 1951 as seen in one of the coloured images. There is a suggestion that they were too striking in appearance for some parishioners’ taste! 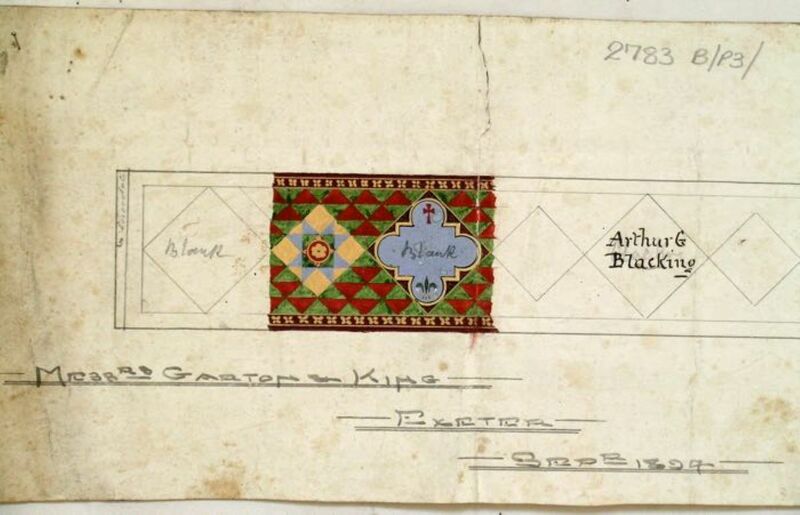 Garton & King were involved in the supply and sourcing of these tiles as the 2 images show. The drawings are actually one long rectangular drawing. 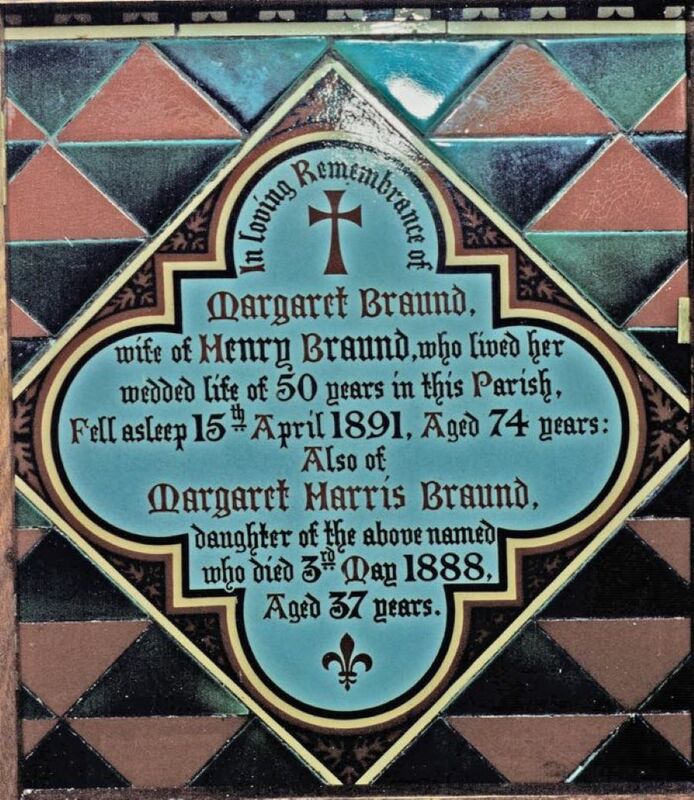 The names coincide with names on existing tiles, most are unfortunately boarded over as a result of the conversion of part of the church to charitable use in the mid 1990s and are unlikely to be made visible in that area of the church for probably many years to come. 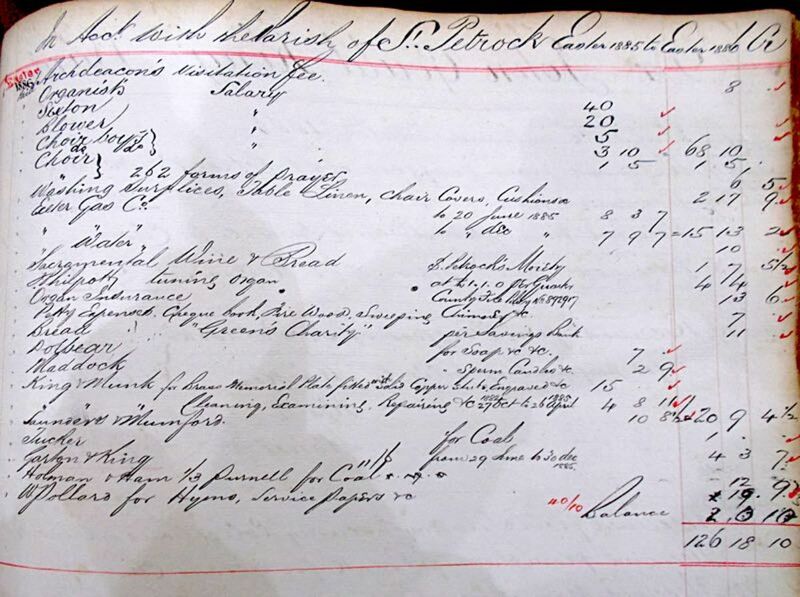 Throughout the period of the Account Book (1698 – 1937) entries crop up showing the various trading names of the company. Even the name King and Munk appears under 1883 and again 1884 and in 1886 the accounts actually show the names King & Munk (the company only traded as such for a short time) and Garton & King are entered on the same page. The final Account Book entry is fior the year 1937 and shows Garton & King having been paid the princely sum of 6/- (six shillings) but we know not what for. 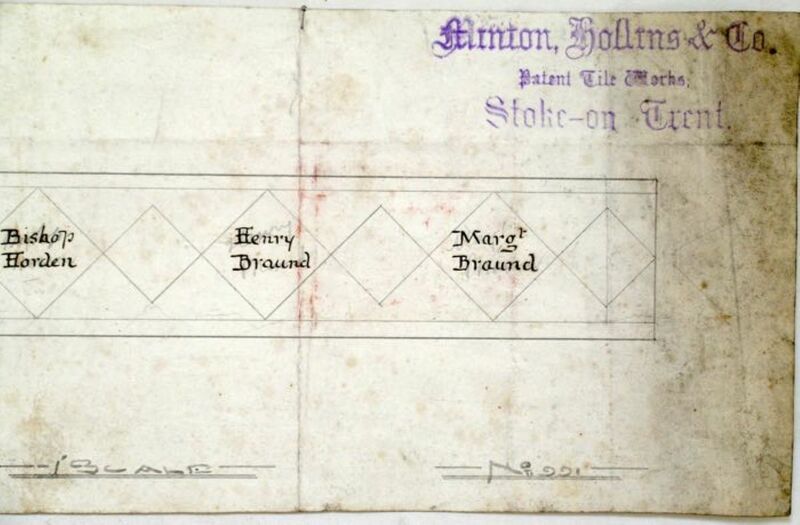 In 1898 there are two entries under Garton & King for a Memorial Tablet, £2-19-3d on the Debit side and again on the Credit – presumably a No Charge item and probably relating to the Tile Drawings shown here in this chapter. Signatures abound in the Account Book of all those involved with Garton & King and its predecessors and my Great Uncle Hugo Holladay’s signature signs off the accounts for 1921, 1922, 1923 & 1924. It is probably more appropriate to divert the reader to the St Petrock’s Page on the Exeter Memories site for its history but on the subject of the Memorial Tiles by Minton Hollins there currently is no mention so I have listed below the names of the persons commemorated in Tile Format that I have accounted for and have included a few images of some of the 32 persons commemorated in this fashion. 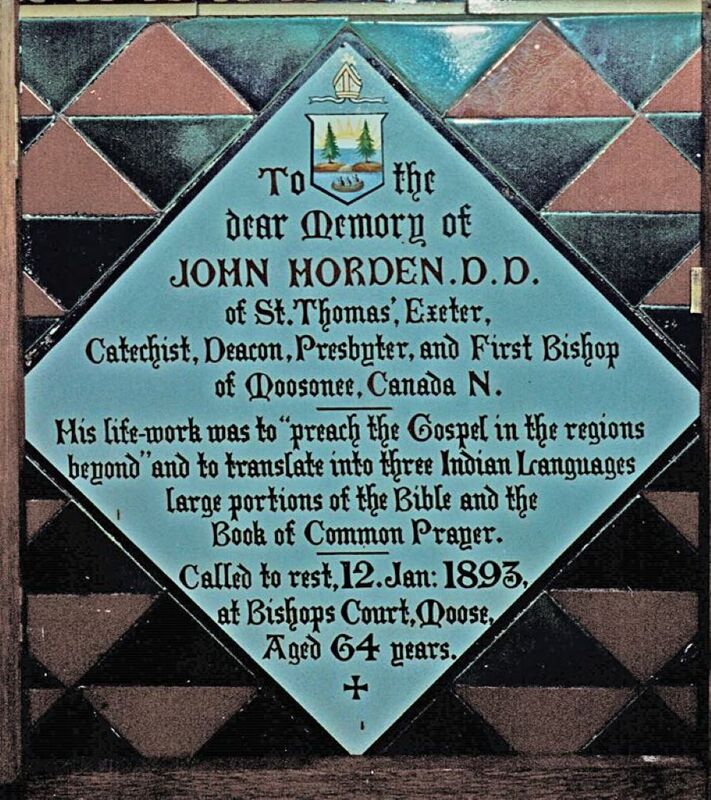 The names with a + against them are commemorated on Tiles that are still visible in the area of the church that is open to the public and accessed from the High Street. An undated but post 1951 leaflet about the Church states there are 32 Commemorative Tiles, but according to the Western Times on December 17th 1894 Bishop J Horden was allocated one of the three remaining unclaimed spaces and possibly hidden behind studwork there are to this day 2 unclaimed spaces which would account for the thirty names only that I have identified. 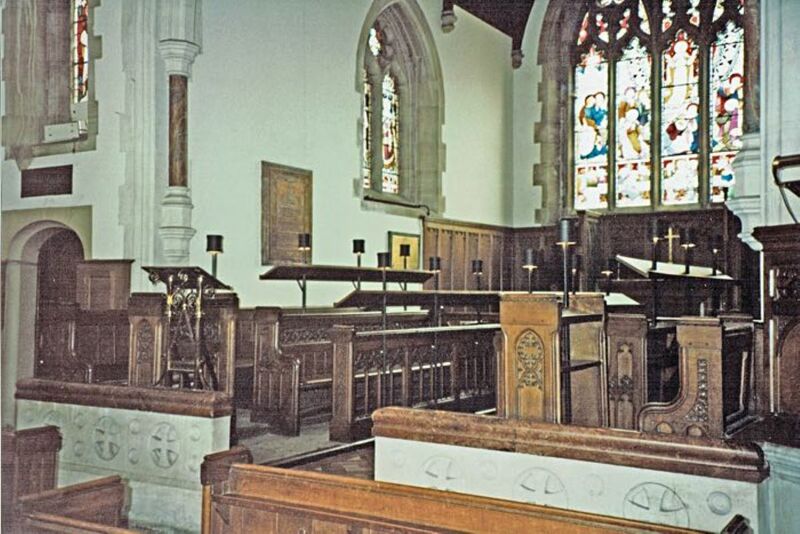 So, with regards the connection between St Petrocks Church and Garton & King there remains but one loose end – WHERE’S THE LECTERN ? £50 awaits the Finder.